Look on my upgraded character models, ye Mighty, and despair! Finally, we can return to the video game landscape one decade ago, when there existed a spot for action games that were neither pixelated indie titles nor bombastic AAA behemoths. It was a time when you could roll into your local Gamestop/Babbage's/etc and pick up an action title that wasn't necessarily great, but definitely wasn't terrible - it existed solidly in the middle. 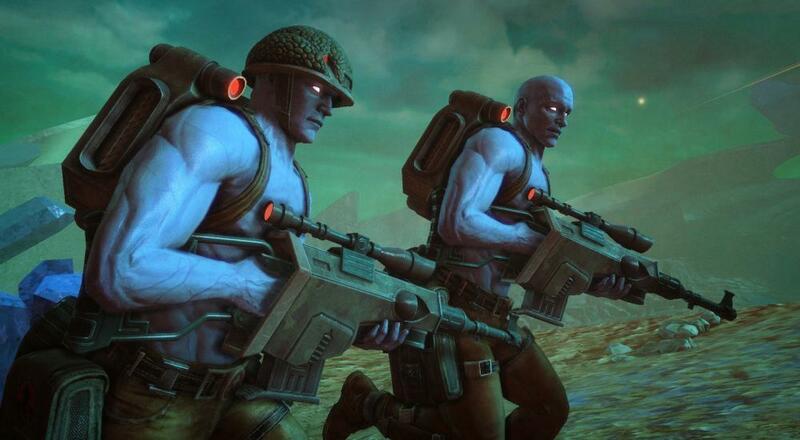 One such game, Rogue Trooper, has received the remastering treatment and will be in your waiting hands very soon. While the October 17th date is valid for almost every platform (PlayStation 4, Xbox One, and PC), the Nintendo Switch version will lag just slightly behind. Developer Rebellion hasn't listed a specific date for it just yet, but they've promised to deliver it "soon after" the other versions. I'm not expecting Rogue Trooper to blow anyone's minds, per se, but it's an easy recommendation for anyone who wants a fun, very competent shooter to mess around in with their friends. Page created in 0.7610 seconds.